Tokyo Electric Power Company Holdings Inc. said on Thursday that a problem with monitoring equipment means it can’t be sure if radiation-contaminated water leaked from the reactor buildings damaged in the 2011 nuclear disaster which was sparked by an earthquake and tsunami, the Japan Times reports. The company said there were errors on the settings of six indicators monitoring groundwater levels of wells around reactor buildings 1-4 at the Fukushima Daiichi Nuclear power station. The indicators weren’t showing accurate water levels, and the actual levels were about 70 centimeters lower than that which the equipment showed. In May, groundwater at one of the wells sank below the contaminated water inside, NHK reports, which possibly caused the radioactive water to leak into the soil. 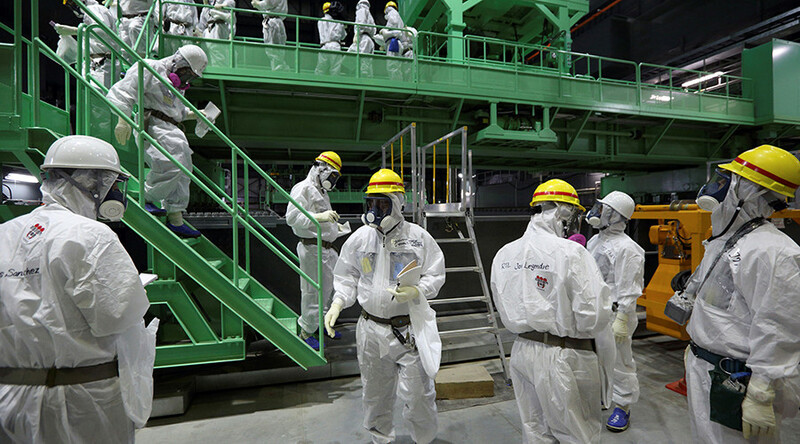 The company said it is investigating, and that no abnormal increase of radioactivity has shown up in samples. The problem with the six wells in question was discovered this week when the company was preparing another well nearby. The 2011 Fukushima nuclear disaster occurred when three of the plant’s reactors experienced fuel meltdowns and three units were damaged by hydrogen explosions as a result of the earthquake and subsequent tsunami. TEPCO has kept groundwater levels in wells higher than the contaminated water levels inside the plant, usually a meter higher. It also installed water-level indicators, which have now been revealed to be inaccurate. Last week, the company was ordered to pay damages of 376 million yen ($3.36 million) to 42 plaintiffs for the nuclear disaster in the second case a court has which has seen rulings against the company. The suit, one of about 30 class actions brought against the plant, was brought by residents forced to flee their homes when three reactor cores melted, knocking off the cooling systems and sending radioactive material into the air. The case examined whether the government and TEPCO could have foreseen the tsunami. A government earthquake assessment made public in 2002 predicted a 20 percent chance of a magnitude 8 earthquake affecting the area within 30 years. The 2011 quake was a magnitude 9. The case argued that the disaster was preventable as emergency generators could have been placed at a location higher than the plant, which stands 10 meters above sea level. The court found the state wasn’t liable, but another case in March found both TEPCO and the government liable. In July, people reacted with anger to news that TEPCO planned to release radioactive material tritium, used to cool reactors, from the plant into the Pacific Ocean. The Japanese government revised its plan to decommission the plant last week, delaying the 30-40 year projection by an additional three years.